Many fans of the hit animated TV series, He-Man and the Masters of the Universe, were disappointed with the approach taken by the filmmakers, shunning the show to produce a movie that had very little connection to the cartoon. 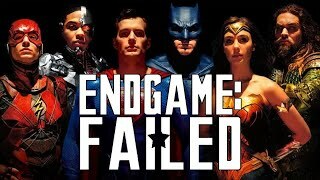 Mattel, who created the toy-line, backed the movie and their agenda wasn't to play it faithful to the show. The problem was the show had become a big success story among fans. Originally Mattel allowed producers Filmation to create any kind of show they wanted, taking great liberty with the toys, essentially creating backstories and wild characters. It was they who invented Prince Adam and the transformation into He-Man, as well as remoulding some of characters for the purpose of the show. However, when the film was made, Mattel didn't care about the TV show and wanted the film to be closer to the original toy-line, hence the lack of the Prince Adam character in particular. In addition, it was deemed by all involved that a lot of the characters/settings were just impossible. Orko and Cringer/Battle-Cat were the most well-known omissions. 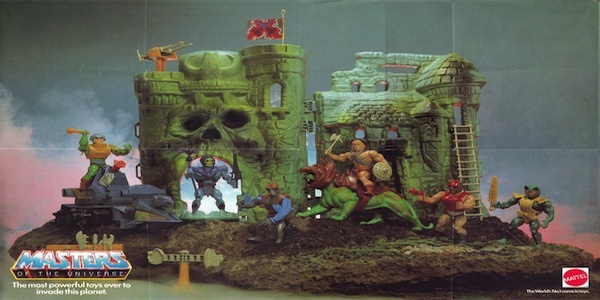 It was also deemed far too expensive to create Eternia in too much detail, hence the story being moved to Earth and the planet reduced to just Castle Grayskull and a small portion of the outskirts (in real life, Vasquez Rocks in California). For fans of the cartoon, there will always be an untapped desire to see some of the more outlandish details realised on film some day, with many such as Orko and Battle-Cat much more realistic targets with 21st century technology. That said, it's understandable that most elements werent realised, though the collapse of Cannon obviously did not help matters (the Earth aspect is still painfully out of place).